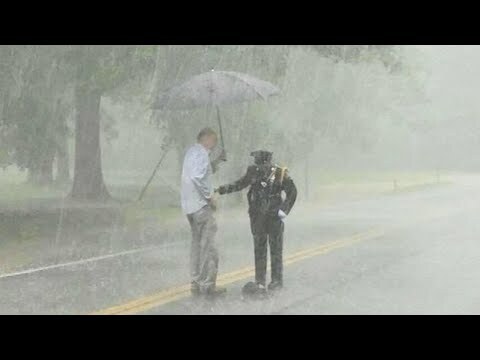 Police Officer Sharnise Hawkins of the Greenbelt Police Department was photographed standing in the middle of the road during a storm, making sure no cars hit a turtle trying to make its way across the street. It was an odd scene as the officer stood in the pouring rain and grinning from ear to ear as she escorted the snapping turtle. “That’s pretty much just me,” she told Inside Edition. “I love to smile.” InsideEdition.com’s Keleigh Nealon (http://twitter.com/KeleighNealon) has more. It’s Official! Trump Has Just Received Life-Changing News 24Hrs After Kim Jong-Un Meeting.